"The Dominican Republic has it all" "The Dominican Republic has it all"
"The Dominican Republic has it all"
You would not expect it, but the Dominican Republic welcomes more than five million tourists a year. This makes it the most popular travel destination in the Caribbean. And if you look at the whole of North and South America, it is in a creditable sixth place. However, if you travel through the country, you do not get the impression that there are so many tourists coming to the Dominican Republic each year. This has to do with the fact that the country is a typical beach destination where many tourists retreat to luxury all-inclusive hotels and rarely take the trouble to see more of the country. They usually arrive at the airports of Punta Cana or Puerto Plata, are transported by bus to their accommodation, and then entertain themselves during the entire holiday period within the walls of their hotel. 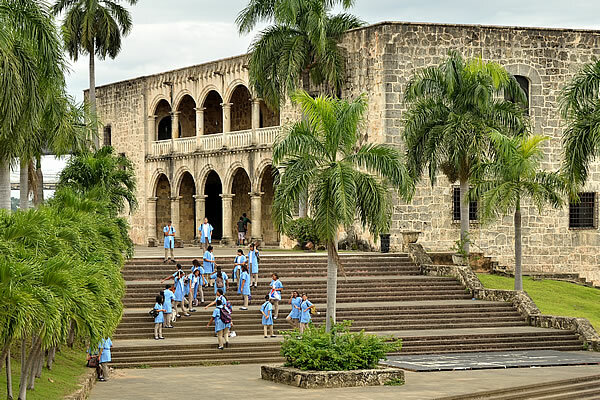 Only a few of them book an excursion to a nearby waterfall, or undertake an organized day trip to the historic centre of the capital Santo Domingo. Perhaps it is understandable that many tourists are not tempted to show themselves outside the walls of their hotel. The country’s image isn’t that good. 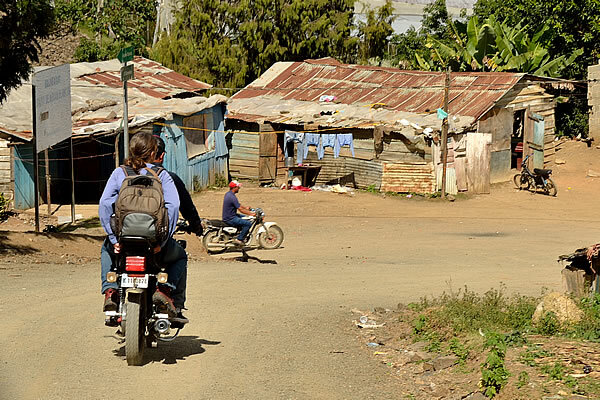 For example, the government of the Netherlands writes in her travel advice about the Dominican Republic: "In the Dominican Republic there are sometimes incidents involving crime, corruption and violence. The number of robberies on tourists outside the holiday parks is rising ". And to add extra weight to this advice, it also mentions: "Be careful on the roads between the big cities. 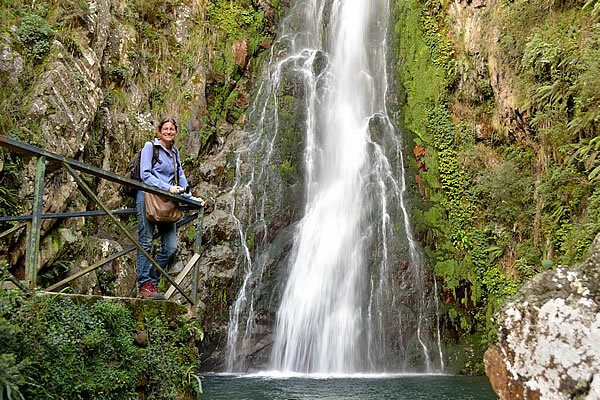 In addition, be extra careful when visiting more remote tourist attractions.” And if you also read in the same advice that you’d better not travel by public transport, but by taxi instead, then the enthusiasm of planning a trip through the Dominican Republic quickly evaporates. But as often, you have to take this kind of travel advice with a grain of salt. Of course there are risks to traveling in the Dominican Republic. It is a poor (third world) country, and there is always a risk connected to this type of destination. But with a little common sense, you can almost reduce the chance of a negative travel experience, even in a country like the Dominican Republic, to zero. Individual travel in this country by public transport is therefore certainly not a recipe for a bad travel experience. 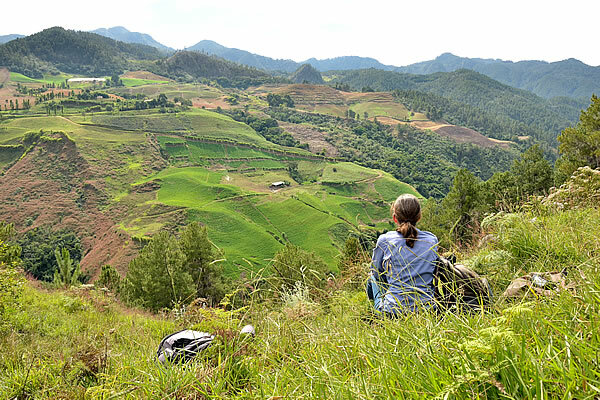 Even for the Dominican Republic, the vast majority of people who travel the country in an individual way have a problem-free and wonderful experience. However, the fact is that the beaches of the Dominican Republic is the main reason for most visitors to book a holiday in this country. And that is also understandable. The beauty of the beaches is comparable to those of the much more 'exclusive' Caribbean destinations in the region, but the price tag is much more attractive. A holiday in a luxury beach resort in the Dominican Republic is much cheaper than say in Barbados, Guadeloupe or Martinique. That is why the Dominican Republic has become a mass tourism destination for North Americans and Europeans who are looking for an affordable beach destination. Most of them are only interested in sunny weather, good food, beautiful beaches and an intense blue sea. But does that mean that the rest of the country is not worth a visit? The answer to that question is not that simple. Of course, the rest of the Dominican Republic is also worthwhile, as it actually applies to all travel destination on our planet. Everywhere, things and experiences are different than in our own country, and that makes traveling so interesting. However, if you are looking for extreme experiences, then the question is whether the Dominican Republic can meet your expectations. The country is diverse and has a lot to offer, but it does not really stand out in one thing. The country has no spectacular landscapes, no steaming jungles, no ancient and magical cultures, no special cuisine and no breath-taking cities. If you are looking for something really special, you are probably better at your place in countries such as Cuba, Guatemala or Costa Rica. But that does not mean that the Dominican Republic should not be considered. Especially if you are looking for a beach destination that has more to offer than just beach, the country is definitely worth considering. A week on the beach in combination with a week of “sniffing out culture” in the interior can be a very interesting option. And let’s be honest, that is something that most exclusive destinations like Barbados, Guadeloupe or Martinique, cannot offer. These are and remain real beach destinations with no interesting hinterland. The Dominican Republic attracts many tourists, but they mainly come for the beaches and stay in their resorts. Outside these beach towns you do not see many travellers, and that makes the country still very authentic and in a way adventurous. 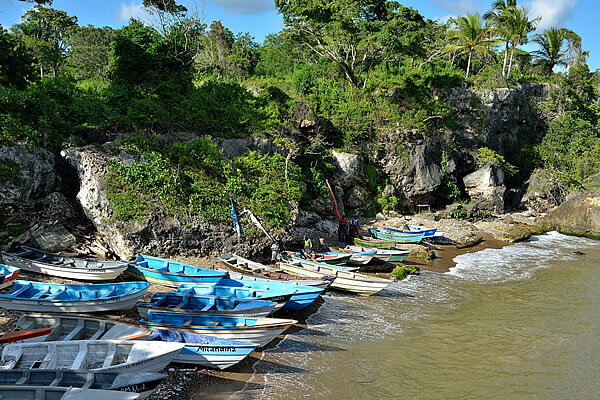 So, in addition to the popular beach destinations, the real Dominican life can still be experienced everywhere, and that makes the country so interesting. 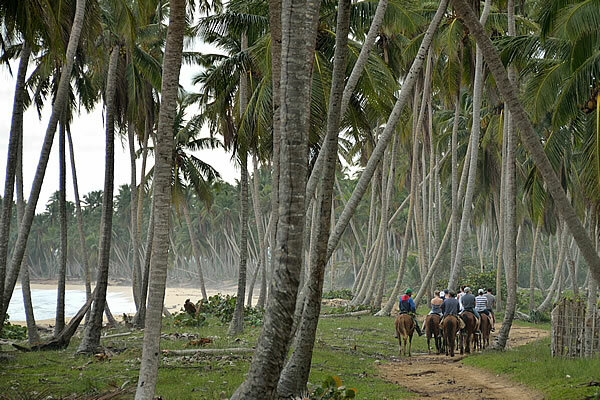 As the marketing advertisement from the Dominican tourist office tells us: "The Dominican Republic has it all". That is completely true. It is a true all-rounder, which does not excel in anything, but also doesn’t disappoint in anything.